LOW 550 and LOW 550 ABC are national jumping cup competitions for handlers wishing to compete in a prestigious qualifier at the same height as the Lower Height Option at Kennel Club Agility tests. This special event is open to all dogs in the Large height category i.e. measuring over 430mm at the withers. Here’s what Hilary has to say about her appointment. 'A big thank you to the organisers for their invitation to judge the last ever LOW 550 National Jumping Cup Final at Cirencester Park, home of Prestbury Park show, on 31st August 2019. This is a great privilege, as I judged the very first heat of the 4th Height Jumping Cup, held at Wallingford in 2015, and of course this competition became LOW 550 under the present sponsorship from 2017. The introduction of this wonderful event has, I believe, had a very positive part to play in the moving forward of jump heights for the smaller Large dogs. A little bit about me. I began Agility 24 years ago with a naughty Jack Russell. I started to judge shortly after this as I was totally hooked! That's when my life changed completely and now I compete, teach and judge. I have found judging is a great way to put something back into the sport which gives me so much pleasure. 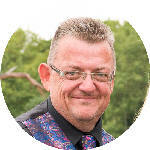 In a few weeks time I have the honour of judging at Crufts 2019 in the main arena, alongside Dave Deaville and I’m feeling very excited but also a little apprehensive. There will be ten qualifying heats held around the country for CG 1-4 and CG 5-7. The top two dogs and handlers from each part will qualify for similarly split Finals taking place at Prestbury Park Premier Agility Show on Saturday, 31st August 2019, at Cirencester Park in Gloucestershire GL7 6JT. The LOW 550 is open to all grades of Large dog (i.e. measuring over 430mm at the withers). The LOW 550 for the 2019 final will consist of 10 heats held at agility shows around the country. Each heat will be split into two parts for Combined Grades 1-4 and Combined Grades 5-7. The host show can choose whether to run both parts together or separately as a Special class/es, or as the LHO part of Standard Progression classes. Where the heat is a Special class the tyre shall not be included, and if the long jump is included it should be set at KC minimum length for Large dogs. Where the heat is run as part of a Standard Progression class, normal Kennel Club regulations will apply. Competitors who gain a qualifying place in a heat with a previously qualified dog should inform the Show Secretary on the day of the show and the place will go to the next dog. In the event of a dog being unable to attend the final, reserves may be invited. Trophies for 1st and 2nd place in both parts of each heat awarded by SMART Veterinary Clinic. Rosettes to 6th place in both parts of each heat, supported by Norton Rosettes. Finals. The top two dogs and handlers from each part of the heats will be invited to compete at the finals at Prestbury Park DATC Premier Agility Show held at Cirencester Park, Gloucestershire GL7 6JT on 31 August 2019. All dogs will run over the same course, with separate results for each part. 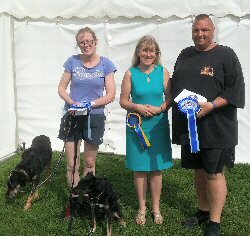 Winners sashes and trophies for 1st-3rd awarded by SMART Clinic at the finals; special trophy for Best Rescue dogs awarded by Mandy Dumont; awards for Best ABC dogs (souvenir LOW 550 lead and handcrafted collar of choice) awarded by Tailends. Prizes for 1st-3rd (£40, £30, £20 vouchers), and all finalists (10% off voucher), awarded by Henley Raw Dog Food, to redeem for products in the shop or online. Souvenir rosettes for all unplaced finalists. The LOW 550 organising committee reserve the right to revise these rules at any time. The SMART Veterinary Clinic will continue to be a major sponsor of the LOW 550 National Jumping Cup qualifying heats and finals for 2019. The SMART Veterinary Clinic has emerged as a centre of excellence within the UK in the field of Canine Sports Medicine. Their reputation has been established through repeated success in returning patients to competition at the highest level, both nationally and internationally. Perhaps even more important in this field is the ability to prevent injury. Many handlers have reaped the benefit of Fitness Assessments. Each sporting discipline is different, not only in the type of injury it predisposes to, but also in the type of conditioning program that is best suited to that discipline. At SMART they will tailor a program that not only addresses specific injuries but can also help prevent injury from occurring in the first place, meeting a dog’s individual requirements to ensure peak performance throughout the season. There are clinics in Swansea and Cardiff, easily accessible from the M4 http://www.smartvetwales.co.uk . 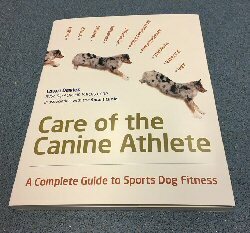 Care of the Canine Athlete is the ultimate must-have book for Agility competitors. Leading sports dog vet Lowri Davies and the SMART Clinic team offer outstanding advice on every aspect of preparation and care for the canine competitor. Available to purchase on-line. Mandy Dumont, sponsor of the Best Rescue Awards at the Finals, said, Rescue dogs deserve recognition so I am presenting the awards to celebrate their achievements as well as the introduction of the new height. 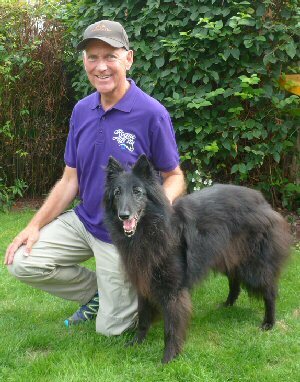 'I have been doing agility for over 30 years and I have only had rescue dogs for a long time now. I will never buy a dog again as there are so many lovely dogs waiting for homes. Two of my current dogs came through rescue as puppies with one of them even being born in rescue. I had hoped that they would both be Medium but they grew just too much! Ty has enjoyed LHO ever since it was introduced and even qualified for the LOW 550 final one year. Intermediate might be coming just in time for her as she will be 10 by 2020. Jet is my youngster and I am looking forward to an appropriate, competitive height for her. 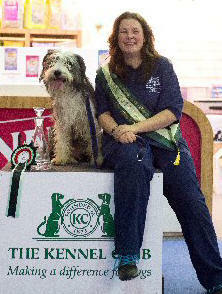 Owner of Tailends, Becky Salisbury, is well known in the agility world for competing with her super Bearded Collies, especially her boy Gadget who claimed the ABC crown at Olympia. She is a skilled craftswoman who makes beautiful, bespoke, embroidered or beaded collars, leads, harnesses and other personalised accessories for your dog. The lucky winners of the Best ABC awards will be presented with a unique souvenir LOW 550 embroidered lead and a voucher for a collar of their own design. See https://www.tailends.biz . Henley Raw Dog Food offers a natural, nutritious way of feeding your dog, for a happy and healthy life. Owner Nikki Thatcher is passionate about her raw food range and supervises the production herself to ensure the highest standards possible. Customers can shop at the premises in Henley-on-Thames, or order online for local or national delivery. Prize winners will be able to spend their vouchers (1st place £40, 2nd place £30, 3rd place £20, and 10% off for all finalists) on food, or other products sold in the shop. Nikki loves meeting her customers' dogs and is always available to give raw feeding advice - she’s pictured here with the delightful “Teddy” a young Bernese Mountain Dog, doing very well on HRDF and weighing in at 52Kg! See https://henleyrawdogfood.com . Norton will once again be supporting the rosettes for the qualifying heats and finals. Hand sewn in Cumbria, using superior grade satin ribbon, these beautiful rosettes make any sporting occasion extra special. See https://www.nortonrosettes.co.uk . 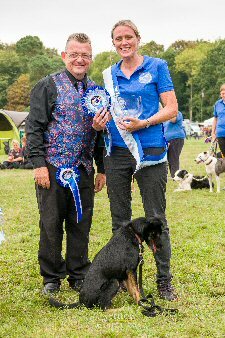 I feel very lucky to have judged the LOW 550 National Jumping Cup Final 2018, on 1st September at Cirencester Park. It’s made me even more addicted to judging Agility and has been a real highlight of my career so far. The enthusiasm of the organisers, the beautiful venue, the fantastic competitors and their dogs and the enthusiastic spectators, just made for an amazing experience for me! I was really pleased with the way my course ran and received a lot of positive comments from the participants and those watching. There were plenty of good, clear rounds, with the odd fault scattered around the course and a few eliminations. Two skilfully-handled 'if only' rounds that stood out for me were by Michael Newns with his petite Belgian Shepherd in the CG1-4 part and Kirsti Dix with her compact Labrador in the CG5-7 part – both of them just taking an unlucky pole in otherwise paw-perfect runs. It was really gratifying to see the variety of dogs taking part. In addition to the sprinkling of lovely Border Collies and Working Sheepdogs and those mentioned above, there was a NSDTR, a little Spanish Water Dog, a Weimaraner, an English Springer Spaniel and some crossbreeds. It was brilliant to see them giving it their all. Congratulations to everyone, especially the two fabulous winners Hayley Laches and Julie Hutton. Thank you to the sponsors and the LOW 550 team for making this wonderful event possible and not forgetting everyone who took part in the heats - judges, host shows and the Prestbury Park Show Committee for allowing us to share their venue for the Final. LOW 550 ABC has been a national agility series of six Special CG 1-7 classes for handlers wishing to compete at the same height as the Large LHO (550mm) at Kennel Club Licensed Agility shows. Open to dogs that are not a Border Collie, Working Sheepdog or their first cross, this sponsored series, based on a points system, has proved to be extremely popular and hotly contested wherever it has taken place. Congratulations to newly crowned Series Champion, Tony Parmiter and his Groenendael, Jetaime Elegance du Futur. 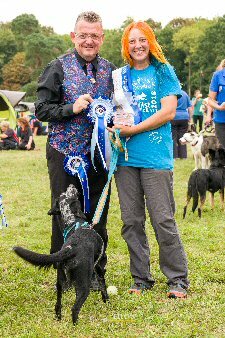 They receive the fabulous first prize of a Dog StreamZ Smart Collar with a personalised embroidered attachment by Tailends, plus a You StreamZ Ankle Band for the human in the partnership. Well done to joint runners up, Bridget Storer with her Labrador, Rock Sea Mist, and Monique van de Laarschot with her Kelpie, Rooqui Come Fly with Me Jordan. They both receive a beautiful, bespoke, embroidered or beaded collar made by Tailends to their own design. Special thanks go to our sponsors Dog StreamZ, Tailends, Nutriment, Judith Trickett, Threecross Agility Group, Lagotto Romagnolo Association, The Toller Club of Great Britain and Erikachen NSDTRs. Without their generous support, this competition could not have taken place. Finally, well done to our host clubs and judges and everyone that took part in the Series. We hope you enjoyed it! Congratulations to all the Finalists! We look forward to seeing them on Saturday, 1st September at Cirencester Park, home of Prestbury Park show – where Judge Anthony Bray will be waiting. There will be separate parts to the Final for CG1-4 and CG5-7. The list shows at which heats the Finalists qualified, in chronological order. Please come along and support everyone taking part in the Final, which will take place as soon as the show has closed. We are delighted that our sponsors SMART Veterinary Clinic and Fun with Fido will be on hand to present the awards once again. Without their support, this event would not be able to take place. SMART will be at the show all weekend with their mobile clinic, providing fitness assessments by some of the foremost veterinary rehabilitation specialists. Please contact the Clinic if you wish to reserve a space beforehand by emailing mail@smartvetwales.co.uk . 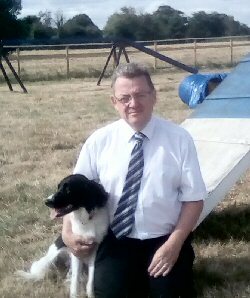 I have been judging agility for eight years and have completed training courses with the Kennel Club, UK Agility and the Global Judging Program. I got into the dog world by getting my first puppy about 15 years ago, a Working Cocker Spaniel called Alfie. We had done basic training with him but unfortunately lost him at two years old. Then we got an English Springer Spaniel called Amy and got involved with agility. Amy was an absolute superstar. The bond I had with her both in and out of the ring was amazing and the agility addiction took hold completely. Since then, we have had a number of dogs but I am now training my lovely boy Flynn, who is a Springer/Collie X. It’s still early days with Flynn but the potential is shining through and I feel there are good things ahead. Judging agility has become a great passion of mine and nearly every weekend is spent judging at one show or another. I love the camaraderie, the enjoyment, the handler/dog bond, the excitement of seeing competitors when they get their first clear round, the smiles when the competitors get a placing, the happiness that exudes around the rings and generally, you could say, everything about agility! The Final will be taking place at Prestbury Park DATC Premier Agility Show at glorious Cirencester Park on Saturday, 1st September, shortly after the show has closed. Please do come and support the competitors in the culmination of this exciting national competition for dogs jumping 550mm. Keep an eye out for the confirmed list of finalists – coming very soon! With grateful thanks to sponsors SMART Veterinary Clinic, Fun with Fido and Tick Tock the 4th Height Dog. The LOW 550 National Jumping Cup will continue for another exciting series of qualifying heats during 2017-2018, for a Final in September 2018. This prestigious event is open to all grades of Large dog, with hurdles set at 550mm (Large LHO). Once again, there will be separate competitions for CG 1-4 and CG 5-7 and an award for the Best Junior, but, this time, host clubs will also have the choice of running their heat as a Special class or as the LHO part of a Standard Progression Class/es. There will be 10 opportunities to qualify at different Kennel Club shows around the country for the Final at Prestbury Park Premier Agility Show in 2018. The heats for 2017- 2018 have been confirmed as below. To read the show report, click on the link. I was pleased to be asked to judge this qualifier at the Wallingford show on 22nd April. In addition to the smaller Large dogs, I thought there may be some older dogs or dogs coming back from injury amongst the runners, so I wanted to set a flowing course that could be handled in different ways which would test the handler’s skill in interpreting the course. I decided not to use any curved tunnels because I didn’t want dogs hitting the bend at speed and, with the ground still soft after so much rain, I didn’t want to be replacing pulled pegs all day. This was a good decision as my tunnels stayed put the whole day. Not one peg needing to be replaced, and our ring finished first. The course produced 32 clear runs, 14 faulted runs and 29 eliminations. So how did the course run? A few people lost their dog over Number 8 after the tunnel at Number 3. One or two dogs seemed intent on doing that no matter what, but a few handlers just didn’t call their dog whilst in the tunnel. Those running up to handle Number 4 from the front appeared to inadvertently send their dog straight on, whereas those who recalled over Number 4 from the backside and scooped into Number 5 didn’t have the 3-8 issue. The course at Numbers 6-7 didn’t cause many problems but I felt pushing around the back of Number 6 and then pushing into the tunnel was more efficient than recalling to the back of 6, sending the dog over 6 and then pulling in to scoop to the tunnel leaving you out of position for jump 8. 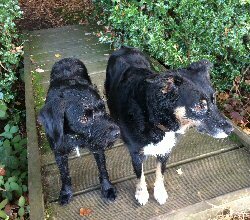 A few dogs having been sent over Number 6 continued to the wrong end of Number 7. The dogs were tight coming out of the tunnel at Number 10, in contrast to the earlier tunnel at Number 3 where the dogs had wanted to go on. This was smartly handled by pushing to the tunnel with the left hand and holding the right hand back to collect the dog, whilst turning towards Number 11, so that as the dog entered the tunnel it was already aware that the handler was going back in the other direction. Jumps Number 12-14 could be handled in many ways, so the challenge was to find the efficient line. Some pulled in from Number 12 to 13, then turned the dogs left to wrap the wing although a few of these back jumped Number 13. I thought those who ran past Number 12 and pushed into Number 13, then either wing wrapped the dog left or turned the dog right and pushed into Number 14, had the better lines. The home run required the handler to be at jump 18 to push the dog out or have a good right command to take the correct course. In an impressive run, the winning handler left his dog at Number 14 and cut across to Number 18, knowing his dog would complete the rest without him. I think that was possibly my scariest moment - seeing Barrie James - who is a little bit bigger than me - hurtling in my direction with his eyes back on his dog. My turn to move swiftly. I really enjoyed my day and hope everyone who ran in this qualifier did as well. I wish the two qualifiers, Barrie and Julie, all the best in the Final. 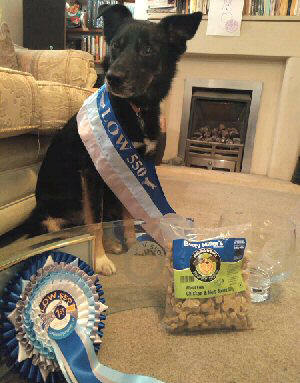 Special thanks to LOW 550 sponsors SMART Clinic, Norton Rosettes, Fun with Fido and Tick Tock the 4th Height Dog.